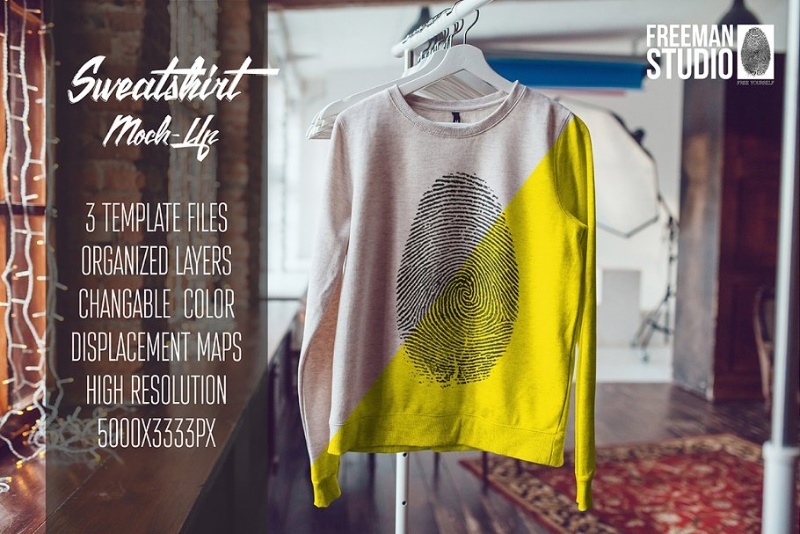 In this article we will share some gorgeous free sweatshirt mockup PSD and premium sweatshirt template download options. All these templates are carefully designed to help designers creating beautiful clothing presentation for online stores and clients. 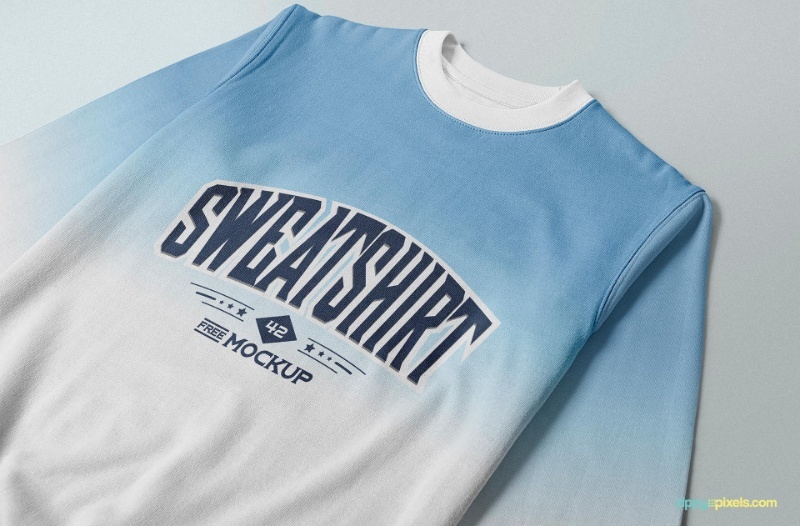 We know many graphic designers are searching for good quality PSD templates to showcase their design on this summer fashion and workout apparel. So we have collected and listed best possible options where you can present your designs with real models in professional environments. 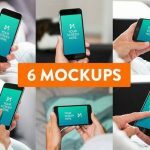 We have also published great collections of shorts mockup, tank top mockup, socks mockup free psd and more on our site. Feel free to check them out or you can bookmark TextyCafe for later! 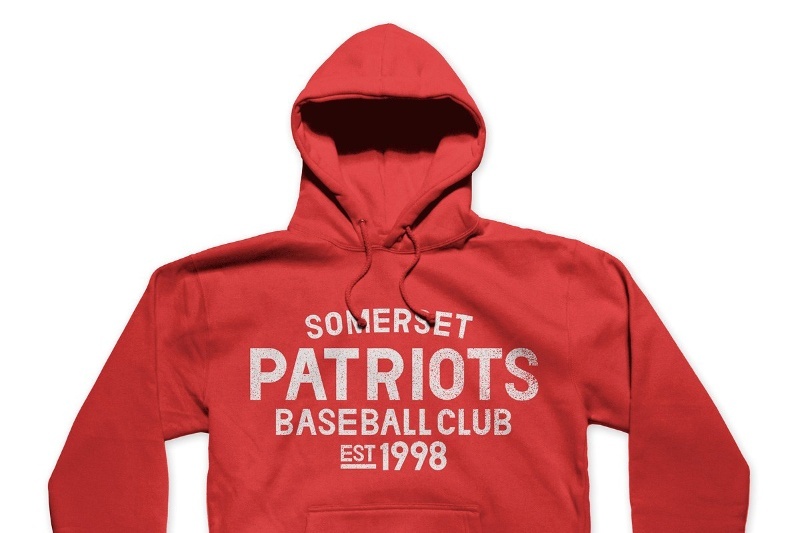 Sweatshirts can be described as one of the varieties of sweaters. 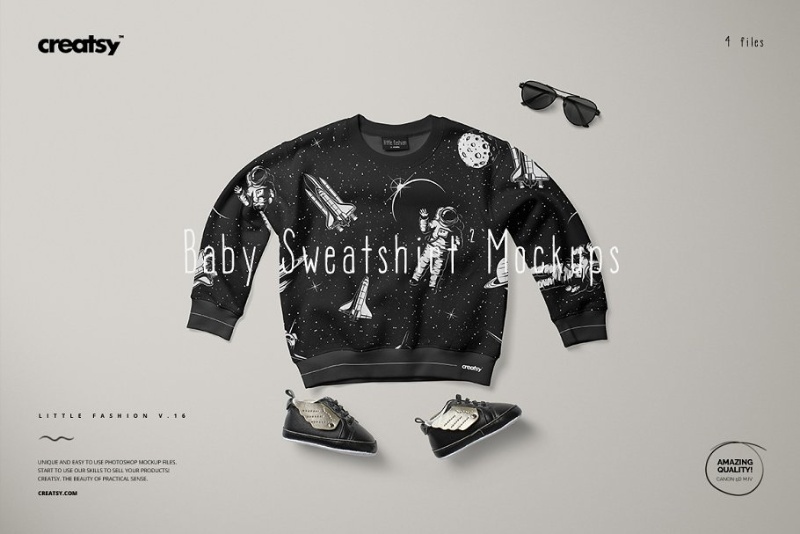 If you are trying create a design showcase for sweaters, check out the sweater mockup templates. 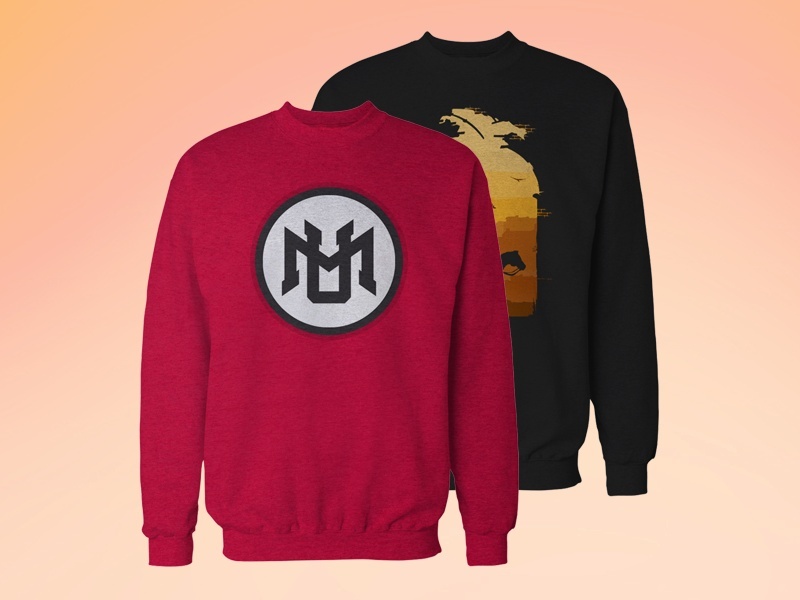 Sweatshirts contains a sporty and athletic appearance, so designing this a bit different from cardigans and pullovers. 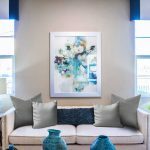 You will need Adobe Photoshop to edit the layered PSD files to create your desired outcomes of custom designs. A beautiful pack designed by Creatsy. 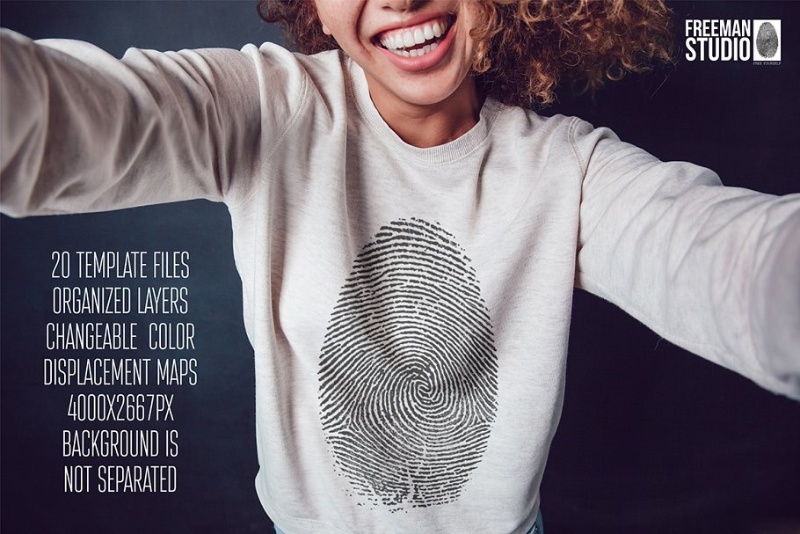 This download includes 2 PSD files with 2 different views of a professionally designed sweatshirt template. All the parts are easily editable – front, back, sleeves, neckring and ribbing. 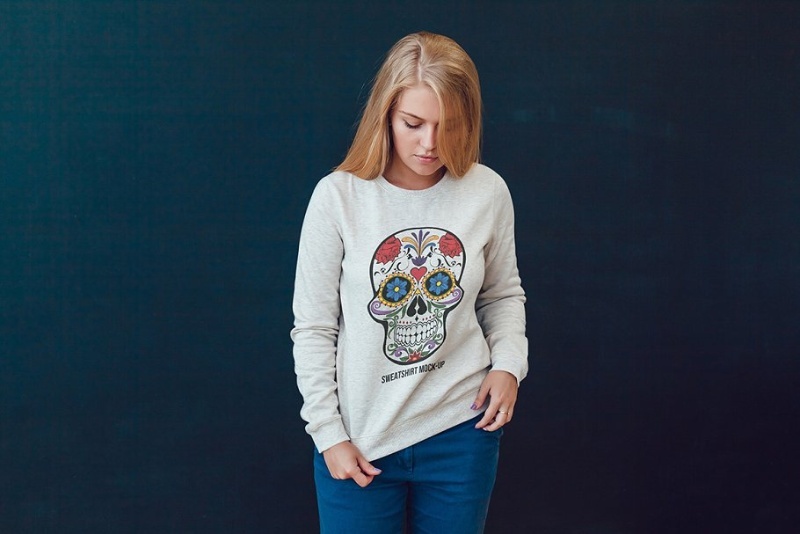 You can make some great product photography by hiring a model and a photographer. But to do that it cost’s such a good amount of cash. Also the whole process takes pretty good amount of time. 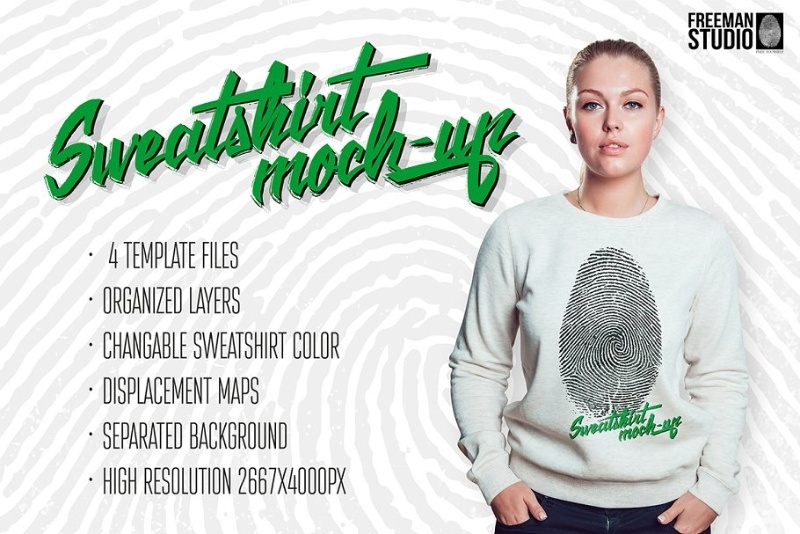 To save your money and time, you can utilize this great sweatshirt template bundle created by Freeman Studio. They have used professional female model images and eye soothing background environment to make your product stand out. Using this is so easy if you have Photoshop installed in your PC or Mac. 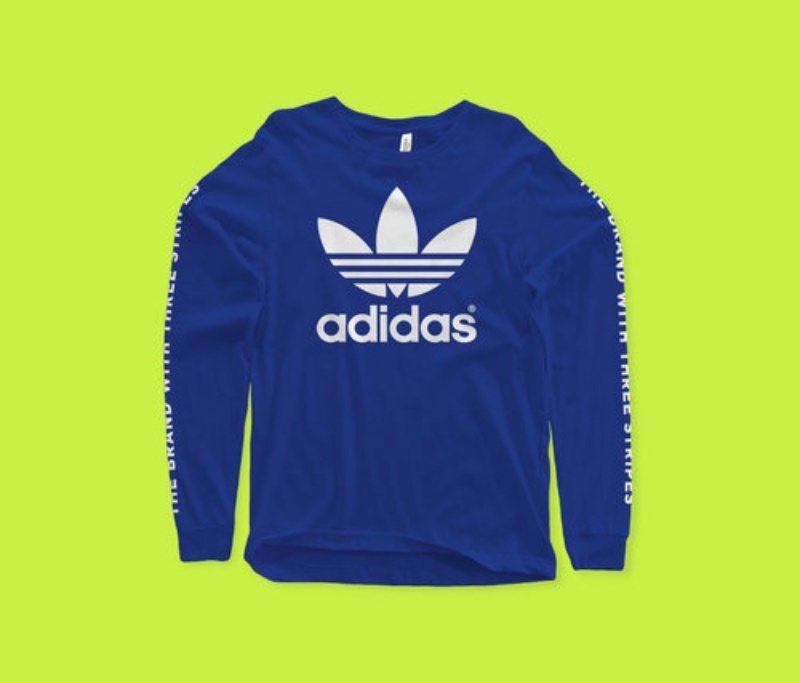 Yes, if you are looking for a complete solution to create design showcases for all your sweatshirt clothing products, this is the right bundle for you. Download includes a total of 20 different template files with high resolution feature. GraphicHero Co has designed this pack for highly professional use. 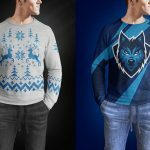 Create top notch photo realistic images of your apparel product with psd files in Adobe Photoshop. 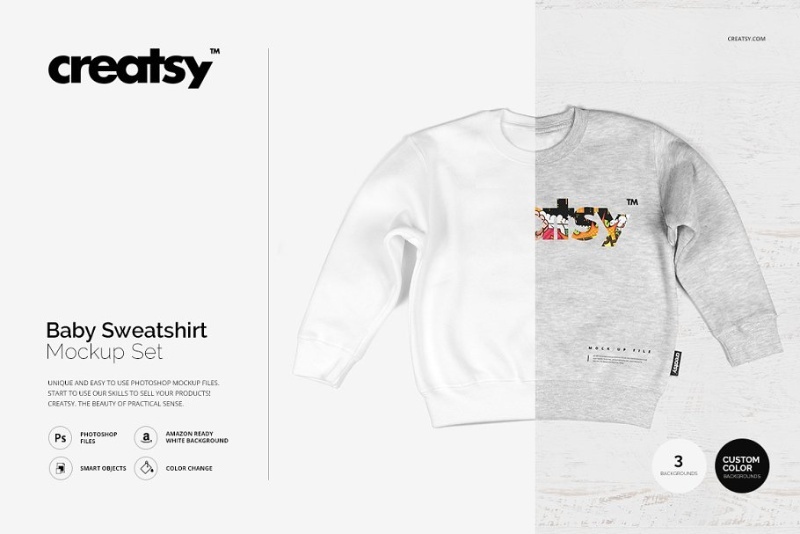 Visualize your custom designs on a realistic sweatshirt with just a few clicks in this incredible mockup. 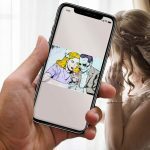 This download comes with some good features – you will get maximum detail with the 4K resolution (4000×400 pixels), 7 Psd Files with front and back view, 2 printed and removable tag option. 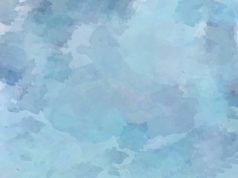 Also a pdf help guide is included. 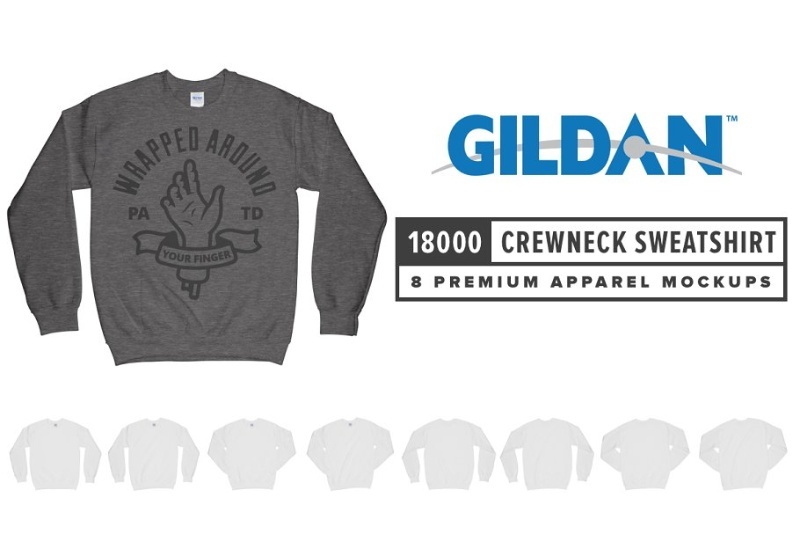 This Unisex Sweatshirt template is based on the Gildan 18000, made by DesignSupply Co. File size is approx. 4500 pixels x 3400 pixels and resolution is 300dpi. This includes easy to change garment color option, design your product within minutes. 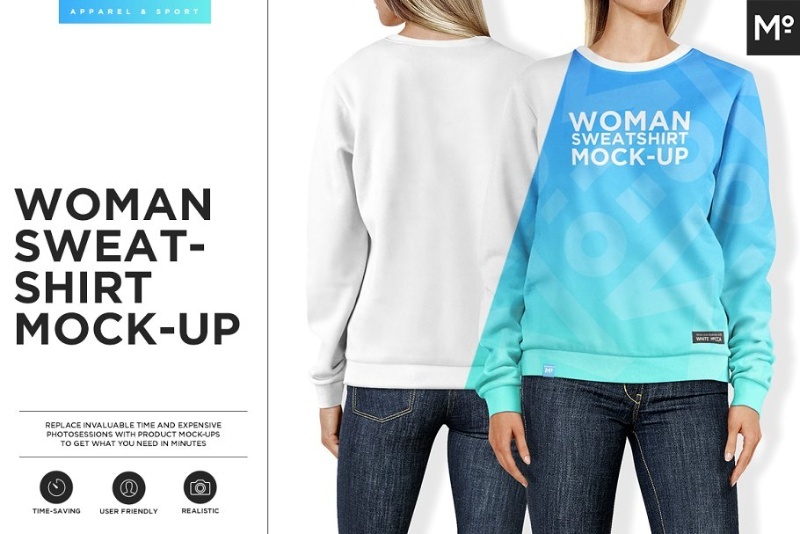 Save your invaluable time with this easy to use women sweatshirt template from Mocca2Go. 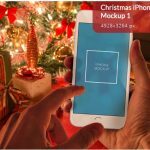 You will get 2 psd files for Photoshop with the download. Customize every part of the fabric with your own color, patters or designs. 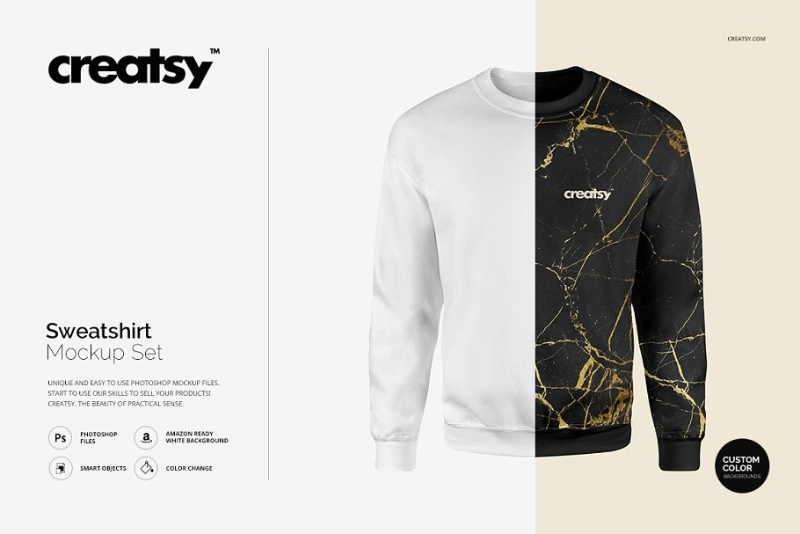 Are you looking for professional looking white or black crew neck sweatshirt mockup psd? Then this is a great pack which you can utilize in Photoshop without any hassle. 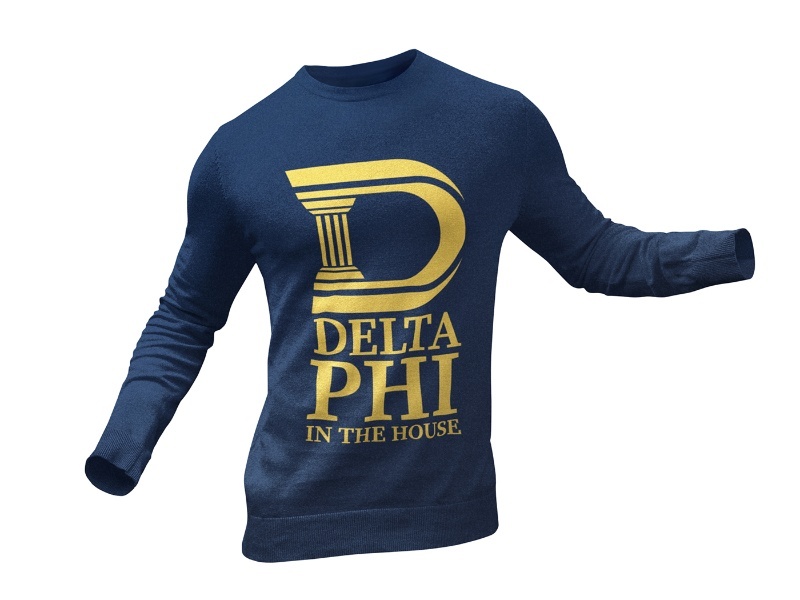 Create premium quality crew neck clothing showcase with this and submit to your clients! 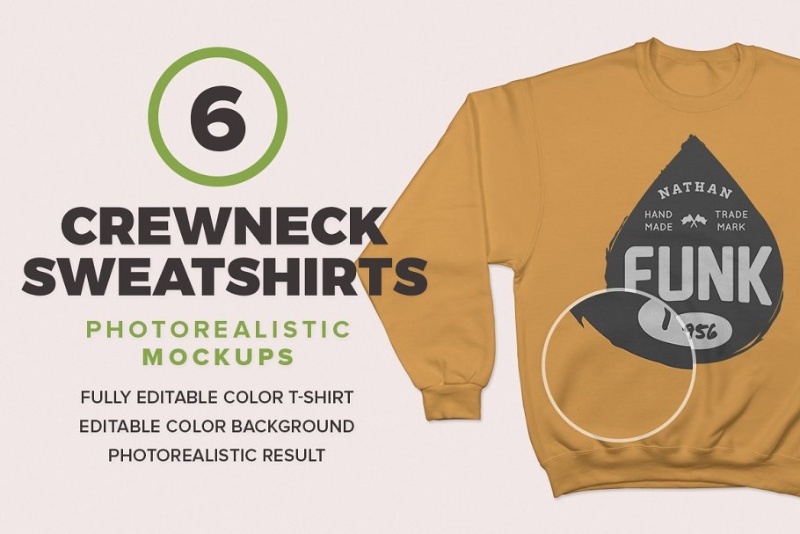 Another great bundle of crewneck sweatshirts mockup templates created by GraphicHero Co. When designing, author did his best to ensure that you get photo realistic results in Photoshop. Total 6 psd files comes with ultra high resolution – 4000 x 4000 pixels. Easily visualize your design with this bundle. This is a fantastic handmade hoodie type sweatshirt template from ZEEGISBREATHING. Showcase your premium design with an ease for your clients. A nice design resource from Freeman Studio. File features include seperate background, high resolution, changeable shadows and more. You will get total 4 psd files to edit and create your presentations from. This pack includes simple yet elegant design elements. You can make charming showcase of your clothing in realistic environment. 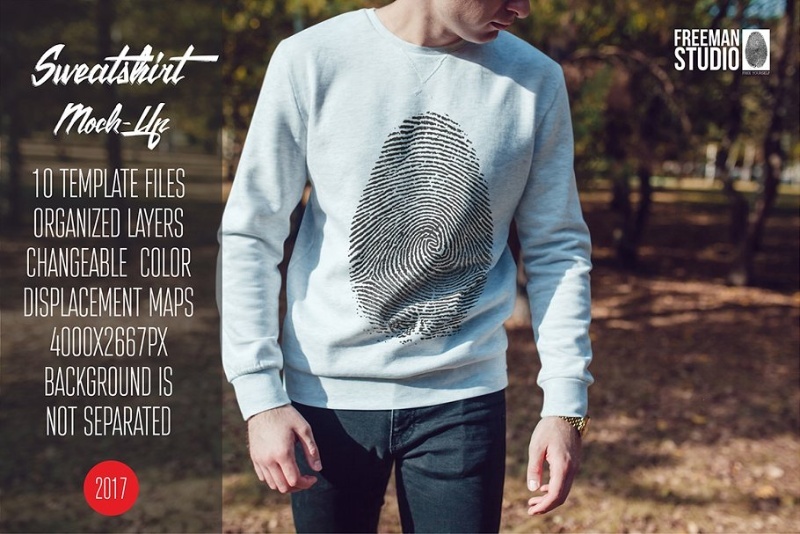 This bundle contains mockup design templates for men’s sweatshirts. 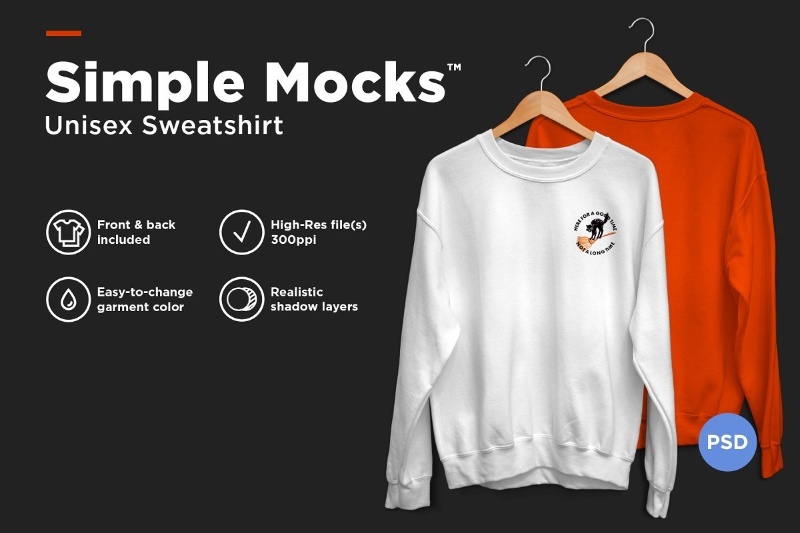 With this pack you will be able to create realistic presentation of your sweatshirt hanging from a hanger in a shop environment. This would be a great tool to design your online store images, banners or to print out in high resolution. This psd download pack comes with 10 different real women model wearing sweatshirts templates. Check out the demo pictures before you can collect or download these. Fully layered PSD files for Photoshop comes with good resolution – 4500×3003 pixels and 300dpi. Design your premium baby clothing products in high resolution! This is completely free to download. Beautifully designed and served by zippypixels. A premium quality design, download for free from pixelbuddha. 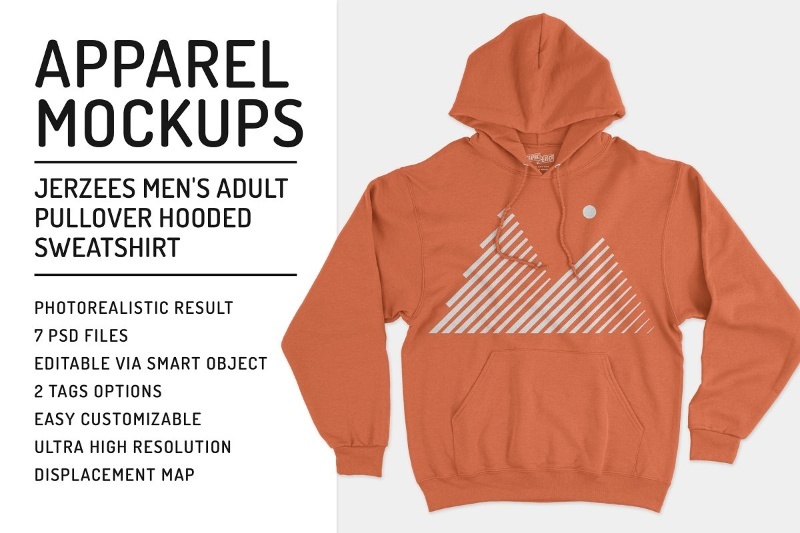 Hope you liked this collection of premium and free sweatshirt clothing branding templates. Please let us know anything you might want to add in the comments!